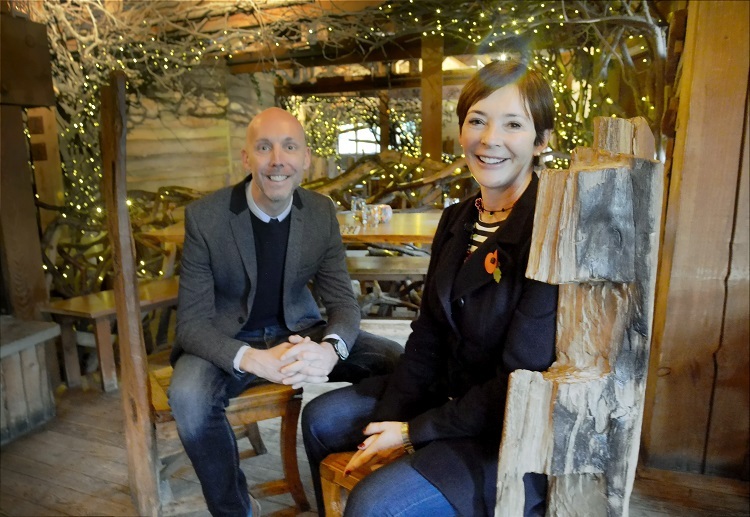 British restaurant and catering company, Searcys has been appointed as the official caterer for The Alnwick Garden and The Treehouse, both situated on the grounds of the ancestral home of the Duke of Northumberland in Alnwick, Northumberland. A true homecoming for Searcys, 1837 was the year the Duke and Duchess of Northumberland employed their new confectioner and pastry chef, John Searcy and after funding from the Duke he went on to set up his own catering company in 1847, John Searcy and Sons. Now a thriving UK visitor attraction, founded by the Duchess of Northumberland, the garden has attracted millions of visitors since it was officially opened in 2001 by The Prince of Wales. One of the world’s most contemporary gardens, The Alnwick Garden offers adventure and intrigue in the UK and heart of Northumberland. 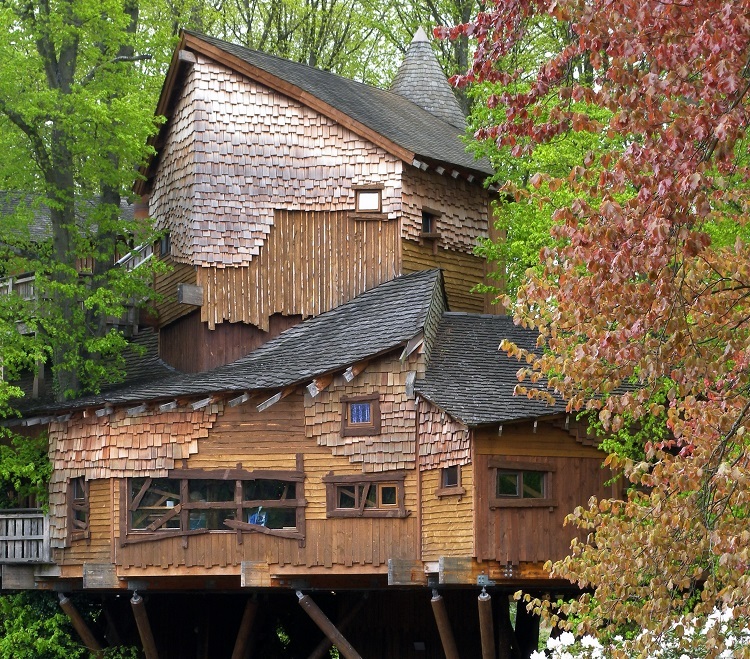 Its iconic Treehouse is one of the largest wooden structures in the world with a cafe, meeting room and restaurant high up in the trees, yet with full disabled access. Searcys will return to The Alnwick Garden in spring 2019, launching a coffee shop, a revamped Treehouse and new cafe menus, all celebrating the best of British produce and locally sourced ingredients. With a particular emphasis on value for money, the new menus will offer visitors multiple options, from quality sharing plates to kid’s “pick and mix”. With a renowned reputation for events expertise, Searcys will develop a new hospitality offering at The Alnwick Gardens, giving a fresh makeover to the marketing and day-to-day running of the events business. Searcys brand-new series of hospitality packages for the venue will showcase the seasons and focus on the home-grown products. The menus and packages are being designed for weddings, corporate and private events at The Treehouse (65-120 guests) or The Pavilion (200-500 guests), ensuring Alnwick Garden’s 2019 events are the most memorable yet. As well as the deeply personal connection to the ancestral home of the Duke of Northumberland, both Searcys and The Alnwick Garden share the same vision and values in their respective businesses. With a strong connection to the community, Searcys plans to hire local apprentices and work closely with The Garden’s education, community and school programmes through an exciting schedule of activations, including cookery lessons for local schoolchildren. One of the world’s most contemporary gardens, The Alnwick Garden is home to a dramatic Grand Cascade water feature, the largest Tai Haku Cherry Orchard in the world, the walled Ornamental Garden, the world famous Poison Garden, Bamboo Maze and one of the largest treehouse restaurants in the world (with rope bridges and disabled access). It is also the only visitor attraction in the UK with a “drop-in centre” for the lonely.